The Elstead Liona 1 light crystal vase table lamp with silver shade features a rectangular base and flat profile vase body, with polished nickel metalwork. 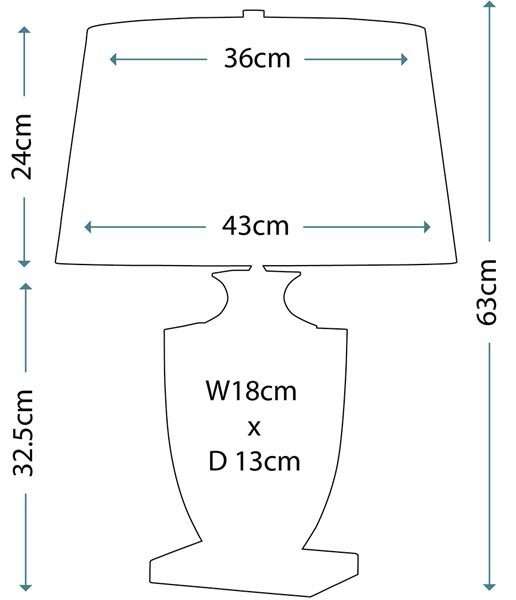 Supplied with a silver lined, tapered 17″ silver sheer fabric lamp shade. 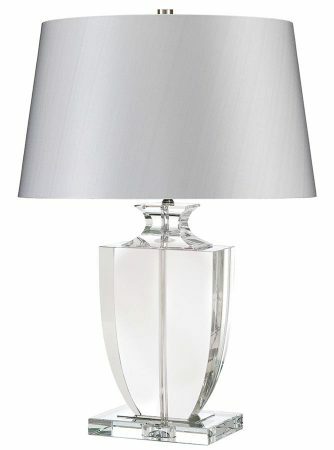 A classic crystal glass table lamp that looks great in traditional or modern rooms, fitted with a convenient inline cable switch.